Postal prices increase on Monday 26th March 2018. 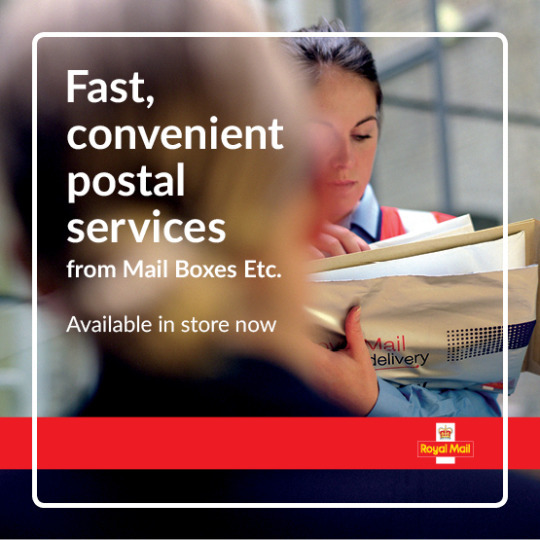 As an approved provider of Royal Mail services, we’re here to help with all your postal needs. On 26th March, the cost of First Class stamps will be 67p and Second Class, 58p. Royal Mail Large Letters, Parcels and international delivery prices will also increase, as will UK Special Delivery Guaranteed and Signed For services. At Mail Boxes Etc., not only are we authorised to sell the range of Royal Mail postal services, but we also offer the biggest choice of express courier and parcel delivery services from all the leading carriers – UK and worldwide. Whether you’re sending an urgent document such as passport or VISA documents, a fragile or high-value parcel that requires a guaranteed or signed for service for that extra piece of mind, or a simple postcard - our experts are always on-hand to advise you on the best service for your needs. We help thousands of small businesses and individuals with their post and parcels every day. And remember, you can buy all your envelopes, tape, boxes, brown paper and other packaging materials from us – or simply ask our experts to pack for you.